For a long period of years Budva represented heart of tourism of Montenegro. One of the musts for every visitor should be its Old Town – a 2 millenia ancient city embedded in a small peninsula, a true repository of cultural heritage. It is intersected by small squares and important edifices like Church of St Sava the Sanctified , the Church of Holy trinity , the Church of Santa Maria in Punta, the town’s fortress of Citadella, etc. Importantly, during the summer months, Budva transforms into the Theatre Town, and becomes a host of many local and international performances,. Budva marina-With 250 berths and dedicated, round-the-clock dock staff, the Dukley Marina is located in the heart of the Budva Riviera’s namesake resort community. One of the Adriatic’s most handsome nautical destinations, the marina is set against the backdrop of historic Old Town and accommodates boats up to 70 metres. An international port with on-site Police, Customs and Harbour Master, the marina is just two kilometres from Dukley Gardens and few steps away from Dukley Residences. The marina is operated with the exceptional service that’s synonymous of the brand. Now the home of famous Aman resort, not only has a beautiful and inspiring look, but a long history. According to a legend, in XV century, each of 12 Pastrovic tribes built a house on the island using the treasures snatched away from Turks, so as to provide shelter for their Families. In 1960 it tbecame a resort town, summer retreat of celebrities and royalities. Praskvica monastery-located above St. Stefan, it has two small churches from 14 and 1th century. This is where Bankada, the assembly of tribal leaders in ancient times used to sit and pass judgements to the customary law. Jaz Beach is famous with locals. It is 1.6 miles away from Budva, with a portion of the beach is designated as nudist. This beach became famous for hosting several world recognised musicians, including The Rolling Stones and Madonna. The beach is pebbly, but the water is stunning with amazing turquoise color.It is less than half an hour drive from tivat. 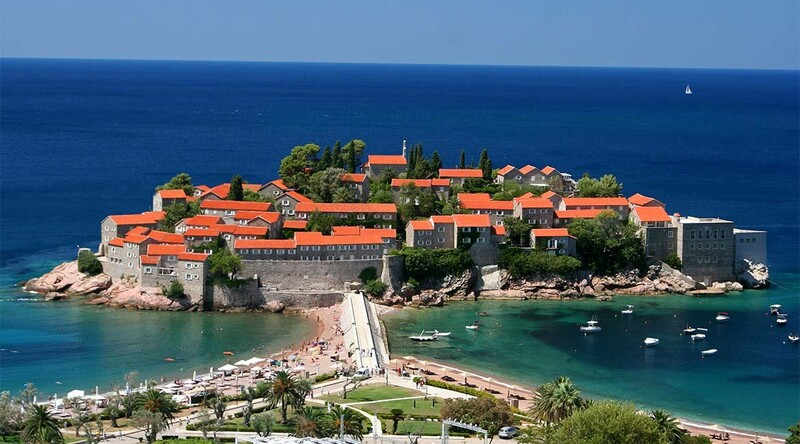 Sveti Stefan Beach beach is a place of enchanting appearance, famous for it serves as link connecting to a tiny island what looks like a fortress. It originates probably between the 1960’s and 80’s when it was home to the most luxurious resort on the Adriatic and the playground to many world recognised celebrities. Trsteno beach is about 7 km from Budva. It is deeply cut into the land which serves as shelter from big waves, as well as northern and southern winds. The beach composes of 200-metre long strip of fine sand. It is literally made for families as one can walk a couple of meters into the Adriatic and water is still only a“ knee deep“.. In an nutshell, it is relatively small, but perfectly managed and organized beach with fine sand restaurant and all necessary facilities. Between Petrovac and Sv. Stefan, surrounded by olive trees as well treasured local secret is the beach “Rijeka ReÅ¾eviÄ‡i”, which is about 6km fromPetrovac. “Rijeka ReÅ¾eviÄ‡i” is a small village in the municipality of Budva, with a beautiful wild beach. It is situated nearby are the “Drobni pijesak” and “PeraziÄ‡a do” beaches. Through the village runs short ReÅ¾eviÄ‡a River. One of the ultimate experiences of relaxation is swimming at Drobni Pijesak,enchated by white pebbles, looking back towards the mountains and scrub. This is the way one can truly feel that they are somewhere remote. One of the great things about it is that it remains almost uncrowned even during peak of the season. Dukley beach lounge Designed by the award-winning Fluid Architecture, this stylish restaurant-lounge is a study in coastal sophistication. Perched over a private beach connected to the Dukley Gardens residential complex, it boasts breathtaking views of the Adriatic Sea and picturesque Budva across Zavala Bay. The refined modernity of this indoor-outdoor venue is reflected in its friendly fine dining and service. Offering a well rounded, international wine list and an Adriatic-Mediterranean menu of fresh seafood, grilled meats, salads and pasta, with an emphasis on seasonal, local ingredients and healthful sous-vide cookery. Avala Resort and Villas, an impressive contemporary hotel, just a few steps away for the bustling old city and yachts marina. This beachfront design architecture hotel anchors the historic Budva, where the beaches and port meets the timeless Adriatic sea. A unique location for modern urban travelers, visiting Montenegro . The luxurious hotel Astoria Budva, in heart of Old town, was fully renovated in November 2007. which thankfully to the help of a exceptional interior designer from Greece, arose with elegant style, comfort and personality. In the heart of the bustling Budva Riviera, overlooking 150 metres of private Adriatic coastline, the Dukley Beach Club sits just outside the historic stonewalls of Old Town.Outfitted with umbrellas, sun-loungers, private cabanas and everyday DJs, this lively waterfront venue accommodates 150 guests. Complimenting Dukley’s more formal waterfront dining venues, the Beach Club offers a menu of casual classics—gourmet burgers through fresh salads, alongside a selection of artisanal Moritz Eis gelato—that accentuates its relaxed atmosphere.Furnished with state-of-the-art sound and lighting, the Dukley Beach Club also hosts Europe’s most popular musicians along with the best in local acts. A constantly revolving calendar of live music, featuring the best classical, jazz, evergreen and pop and a daily roster of leading DJs. If one wants to experience the true spirit of Mediteranean and the taverns, visiting Langust should be a good idea. This idylic tavern is situated in the village Przno , on the very coastline. Przno is idilic too, famous by fisherment tradition, The tavern is close to Maestral casino and St Stefan island. It features a stunning view on the Budva Riviera. It is not frequent opportunity to enjoy an exquisite dinner with the moon and the sea as witnesses. From a spectacular terrace where the sea and the sky merge, La Bocca Beach Restaurant will surprise you with its details, its atmosphere and its fusion of colour, flavour and rhythm. Enjoy a fresh Mediterranean menu, variety of domestic and international dishes and prestige level of service. There is also a large assortment of cocktails, all with the best musical ambiance created by the best resident DJs. Night club Top Hill is spectacular from more reasons. Primarily becouse it is positioned at the top of the imposing Hill Toplis above Budva. 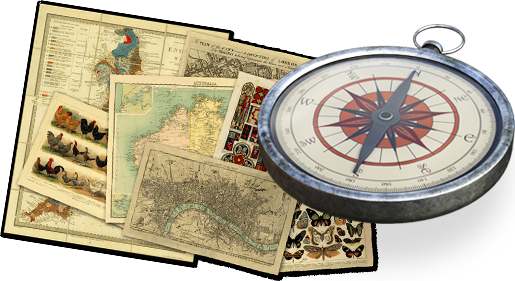 It offers dramatic position, contrast of nature and modrrn, contemporary life, while by its enterior, capacities and content it presents one of the most prestigious clubs in Europe. It is only a 10 mins away from major hotel complexes in Budva and its unavoidable for party 'animals'. Sea dance festival, one of the summer sensations of Budva, will traditionaly be held this summer too, in period from 14-16 july on the beach Jaz. Jaz will host famoust artists such as Skrillex, Andy C, Hurts, Lost frequences, Stereo Mcs and many others. Maestral Casino is one of the most popular features of the Maestral resort. It works non stop during the week while table games are opened from 3pm to 5am. The guests of the Resort & Casino Maestral have free entrance to the casino/entertainment events. Entrance to the Maestral Casino is not allowed to persons under 18.The Maestral Casino offers a wide selection of games on 130 slot machines and 3 electronic roulettes. From the hotel they send a message: Over 150.000,00€ worth of jackpot money is just waiting to be won, and you could be the next lucky player to do so. With 18 gaming tables one can opt for one of the numerous games in offer: American Roulette, Black Jack, Double Deck Black Jack, HIT Draw Poker, Texas Hold'Em Poker, Texas Hold'Em Bonus Poker, Punto Banco, Chemin De Fer. Casino is also popular by regular organization of poker tournaments.